For absolute beginners or people who need a refresher, this class will help you get to grips with setting up and threading the sewing machine, and teach you basic stitching skills. You'll go home with a pretty head scarf that you've made yourself! 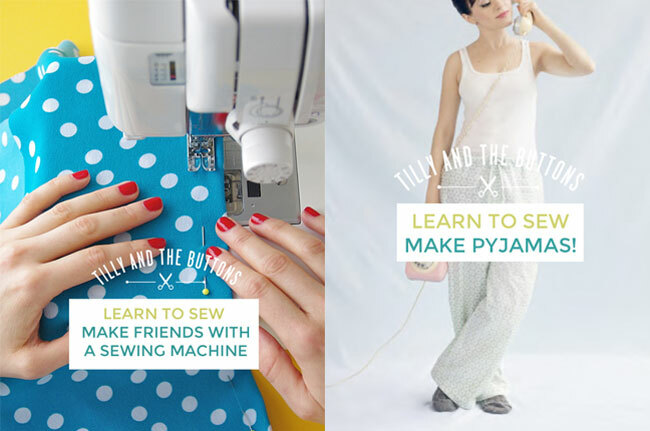 The perfect follow up class for people who can use a machine and want to get stuck into making stuff, this class will get you started with sewing patterns and take you through the steps for making a pair of pyjama bottoms. You'll get a free copy of my award-winning book, Love at First Stitch (or if you've already got it, bring it along and we'll give you a pattern of your choice instead). Fancy doing both classes above? Get a bundle discount by booking the weekender. Come along on the Saturday afternoon with no sewing experience, and by Sunday evening you'll be wearing PJs that you've made yourself! 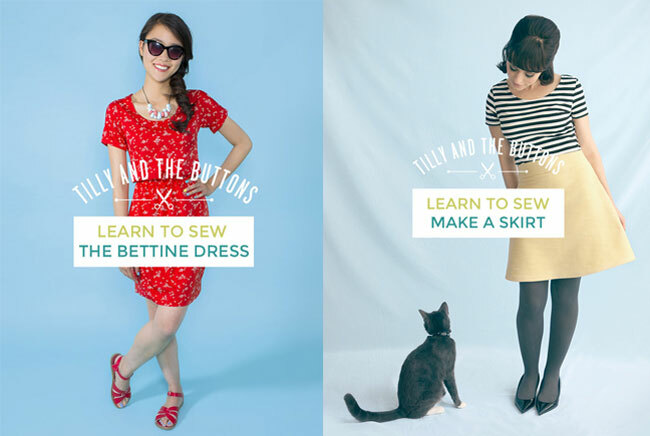 If you've made a couple of simple projects before and now want to sew your first dress, this is the class for you! You'll learn to make our bestselling pattern, the Bettine dress - an easy-peasy throw-it-over-your-head dress with kimono sleeves and elasticated waistband. You'll get a copy of the pattern to take away with you (or if you've already got it, bring it with you and we'll give you another pattern of your choice instead). This class is another great one for people who've made one or two basic things (such as pyjamas or a bag) and want to start making clothes. You'll learn to cut and sew a cute A-line Delphine skirt, including making a waistband and inserting an invisible zip (yes, you can!). We'll give you a copy of my book, Love at First Stitch (or if you've already got it, bring it along and we'll give you a pattern of your choice instead). Wish you could find a pair of trousers that fit you as well as that one pair in your wardrobe? Got a favourite dress you wish you had five of? Bring them along to this class and Zoe will show you how to make patterns from your beloved clothes, so you can make as many as you like! 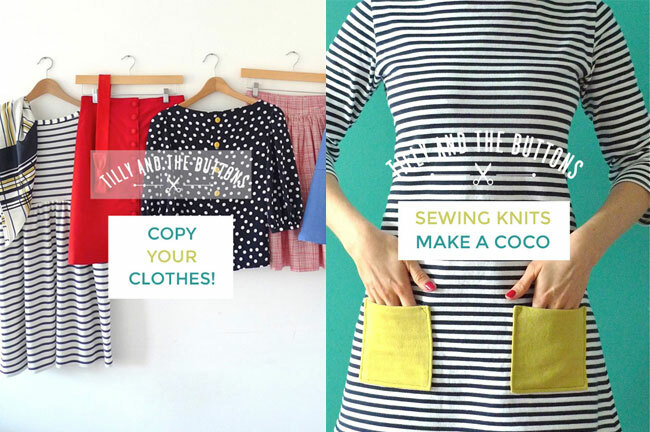 If you want some help starting to sew (low stretch) knit fabric, this class will take you through making the super popular Coco top or dress on a regular sewing machine. There's only one place left on this class at the time of writing, FYI! Can't make it to London? Sign up for our online video workshop! In the course, I show you my no-fuss approach to sewing jersey on a regular sewing machine - no overlocker or serger required. 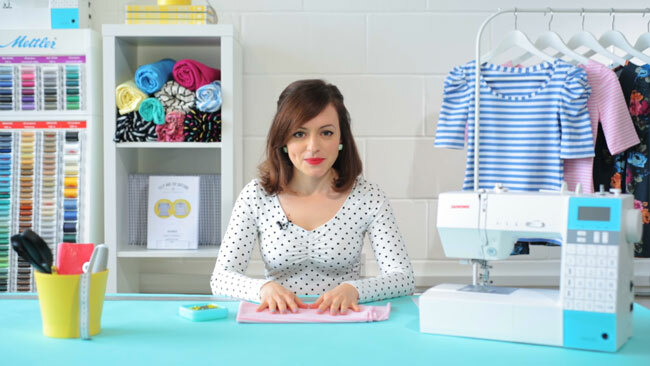 I'll take you through the steps to making the Agnes top (the PDF version of the pattern is included in the course materials), a wardrobe staple with loads of variations. You can take the workshop from the comfort of your own home, whenever it suits you, and you can watch and rewatch the lessons as often as you like. 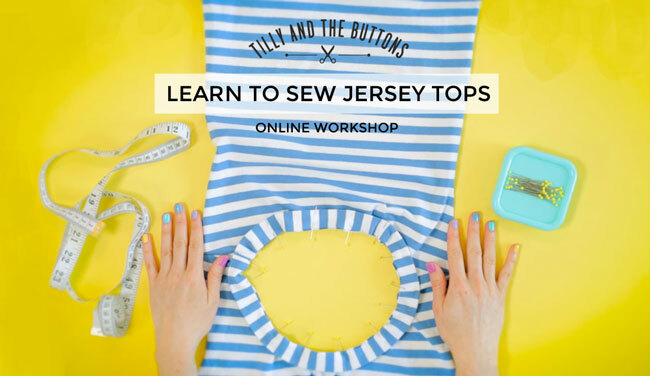 "Tilly's workshop on sewing with jersey was clear, informative and engaging. She breaks the process down into easy-to-follow steps - and anticipates all the issues that you'll have when sewing with jersey on a standard machine. Materials, techniques, and tips are all covered in short, well-presented videos. I am really pleased with the results - a very wearable top which fits me perfectly, produced in a few enjoyable hours." Thanks, Claire! Watch the trailer and sign up here. Find out more details of all our workshops and what you'll learn. Looking forward to welcoming you to T+TB HQ! It's Like Wearing a Quilt!